FARAFINA est nom aux sonorités prometteuses. Originaire du Burkina-Faso, la formation fut fondée par le maître du balafon Mahama Konaté en 1978. Le groupe gagna une notoriété mondiale au fil des années 80 et 90 grâce à une ouverture d’esprit qui lui valut des collaborations avec des musiciens aussi divers que les Rolling Stones, Ryuichi Sakamoto ou Billy Cobham. La troupe devint une icône d’un genre musical alors nouveau, les «musiques du monde» – et elle le resta, même lorsque son fondateur quitta le groupe pour s’adonner une fois de plus à ses activités de professeur de musique. Car en effet, Farafina est également synonyme d’une école de musique et de danse à Bobo Dioulasso, qui constitue un solide réservoir de musiciens pour un groupe qui se reforme sans cesse. FARAFINA cultive une relation de longue date avec la Suisse – et ce pas seulement depuis son passage au Festival de Jazz de Montreux en 1985, mais parce que l’école de musique et de danse Eko-Dance à Marly (FR) représente en quelque sorte une cousine helvétique pour elle. C’est d’ailleurs à Marly et à Bobo Dioulasso que fut enregistré «Denti Féré», l’album actuel du groupe. La philosophie musicale de base demeure inchangée: djembé et tama, chékere et crécelles, sans oublier un ou deux balafons donnent lieu à un feu d’artifices rythmique de percussions. Les chanteurs puisent leur inspiration dans le riche chansonnier mandinka, jonglant avec les histoires et les mélodies. Si la musique demeure acoustique, les instruments rythmiques de ce grand groupe sont suffisamment puissants pour entraîner peu à peu le public dans une danse irrésistible. Their ability to expand their music without denying their traditional instruments has enabled them to experience new forms and record with musicians such as Jon Hassell, the Rolling Stones, Ryuichi Sakamato, Daniel Lanois, Billy Cobham, Joji Hirota. They played several times at the Montreux Jazz Festival, and for 72 000 listeners at the famous Nelson Mandela’s birthday concert in the London Wembley Stadium. During their odyssey of 30 years the group naturally faced some changes. Thus, its founder Mahama Konaté left the group in 1991. Others came and went and still others died. New and younger musicians have joined the group. All came in through the so called « Farafina School » which continues the African tradition of having the children, from their youngest ages on, attend the concerts of their elders and trying to repeat the music they hear all day long. In this way an astonishing and remarkable musical continuity is guaranteed. So, with joy and excitement, we present to you our interview with one of their personnel, Souleyman, with the help of translation by their manager, Denise Wilcke (we also interviewed her and featured in the box at the end of this article), done in early August 2011. Hopefully you will find inspiration and encouragement as much as we do. And what are the unique characteristics of Burkina Faso? And how do you think the West Africa can reaches such “level” in a continent that is known to many people as one of the musical centers in the world? Do did you mean the traditions were already musical at the very beginning? And those rituals are part of where your members have their musical training? When you walk down the street in the neighbor called « Bolomakoté, » you hear music; Farafina is from there—the city called Bobo Dioulasso—the cultural city. During the Farafina’s odyssey for more than three decades now, what are the changes that occur within the group? Right… so the intergenerational value is very much the same with how they live their daily life? 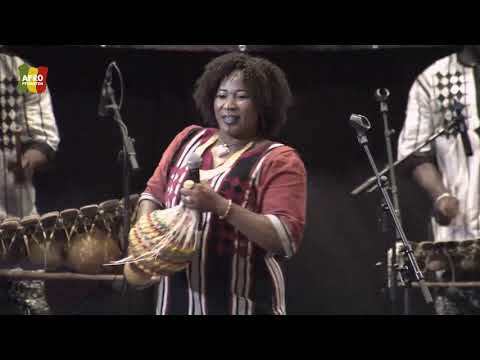 The music of Farafina are very much associated with the elements of African roots music—the polyrhythmic sound, and the heavy use of traditional instruments such as Balaphones and Djimbe; Do the growing use of electric instruments and amplifications affect the acoustic features of Farafina? During the last few decades, there are many musicians that try to combine traditional and “modern” music—perhaps most of them have been the “modern” music trying to incorporate traditional instruments—in order to achieve some kind of a new form of music; any opinion about this matter? But nowadays, music in general seems to transform into a mere “entertainment” product and income generating activity, while the spiritual aspect of music continue to disappear; does this happen to African roots music as well? Certain people yes probably, but not with Farafina. The challenges were to not fall into changing direction totally—get into electronic—but it is good to collaborate with any musicians or groups, so to say that even with traditional instruments they can meet with electronic and modern music; so collaboration are so important to us. Would you explain one or two collaborations in which you gained great experiences? Right… But we also see a tendency on which « Fame and fortune » seem to replace passion as the instrument in measuring the “success” of an artist. How do you respond to this matter? Great! You also have traveled distances to perform, and have had many chances in getting familiar with music of other cultures. Are there any of them that inspire or impress you more than the others? And why? Any messages you would like to say to the audience? Right!! And last but not least, any words for Listen to the World? Denise, since when do you manage the activity of Farafina music group? And why are you interested in managing Farafina (compared to other music groups in your country)? 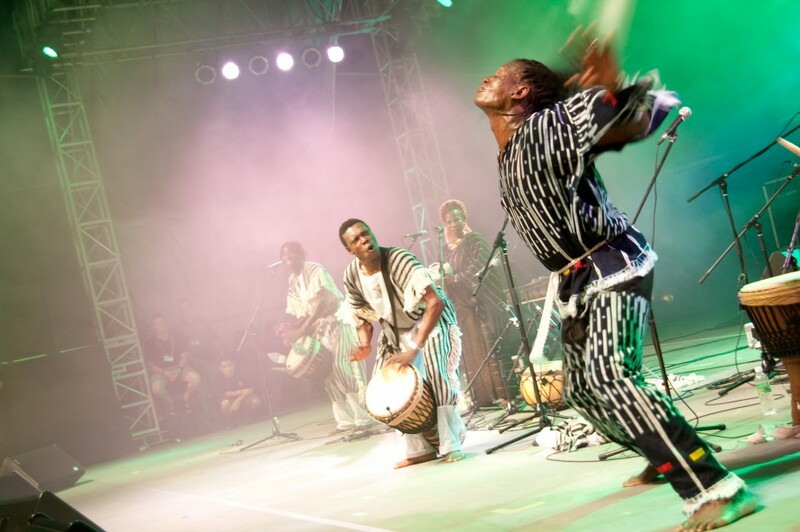 How do you, personally, perceive African roots music? I supposed the music, and the culture, were already in your blood too? Now Burkina Faso is home to more than 60 indigenous ethnic groups (64 as you mentioned earlier), and not to mention the unpleasant economic reputation among other nations in the world. However, it has known peace that some of its neighbors can envy. How do you reply to this matter? Does music gave a crucial role in maintaining such stabilization? Denise, last question, as a manager of such a unique musical group, what is your expectation(s) towards the music “industry” in the future?